The MOST micro-satellite being prepared for launch in 2002. On the left is principal investigator Jamie Matthews. It's worth noting that Sunday, June 30th is the 10th anniversary of the launch of the still functioning Microvariability and Oscillations of STars (MOST) space telescope. MOST, the first spacecraft focused on asteroseismology (the study the internal structure of pulsating stars by the interpretation of their frequency spectra), was also designed to use variations in stellar brightness to detect extrasolar planets in much the same way as the later French COnvection ROtation and planetary Transits (COROT) mission and the NASA Kepler Space Observatory. However, both COROT (launched December 27th, 2006) and Kepler (launched March 7th, 2009) have recently shut down due to equipment failure. 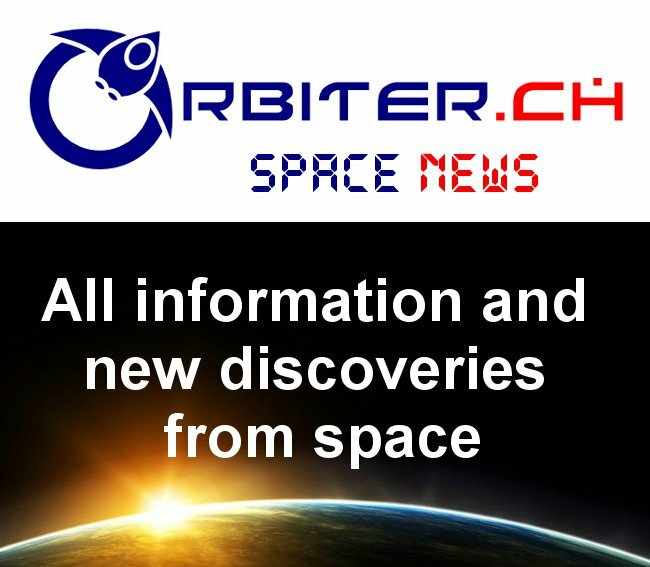 As outlined in the June 25th, 2013 Sky and Telescope article "COROT Mission Ends," the French space agency finally threw in the towel a few days ago after failing in efforts to revive the satellite, which had stopped transmitting data in November 2012. Kepler, although not formally lost yet, recently had a malfunction in the second of four "reaction wheels" required to point the spacecraft with the precision needed to detect new planets and the satellite has slipped automatically into a pre-programmed software mode designed to conserve energy. As outlined in the May 15th, 2013 Universe Today article "Kepler Planet-Hunting Mission in Jeopardy," there are "still possibilities of keeping the spacecraft in working order, or perhaps even finding other opportunities for different science for Kepler, something that doesn’t require such precise pointing abilities." But MOST, much like the energizer bunny, just seems to keep going and going and going. It's looked at more than 5,000 stars over the last 10 years. Even better, the cost for the micro-satellite, generally estimated at around $10Mln CDN for development (and a few extra millions for ongoing operations over the last decade) compares quite favorably with the estimated €170Mln Euro ($232Mln CDN) cost for COROT and the estimated $600Mln USD ($630Mln CDN) cost of Kepler. They didn't expect that a microsatellite could last for much longer than a year in orbit, because of the cut-rate engineering and parts they expected would need to be used to stay inside the tiny budget. The methodology used to build MOST, which allowed the use of high-quality but inexpensive, "commercial-grade" electronic parts rather than insisting on using extremely-expensive "space-grade" parts, eventually found a new home at the Space Flight Laboratory (SFL) at the University of Toronto Institute of Aerospace Studies (UTIAS) in Toronto, Ontario where (as outlined most recently in the May 27th, 2013 post "Canadian Satellites Designed, Built and Launched for $1Mln Each") low cost satellites continue to be built and launched with regularity. MOST, launched from the Plesetsk Cosmodrome in northern Russia on June 30th, 2003, was the first Canadian science satellite since the second of the International Satellites for Ionospheric Studies (ISIS II) was launched in 1971. Will the Polar Communications and Weather Mission (PCW) Receive New Funding? Artist conception of PCW c/o the Canadian Space Agency. According to recent rumours circulating through the John H. Chapman Space Centre, the Polar Communications & Weather (PCW) mission, a Canadian Space Agency (CSA) program developed in partnership with Environment Canada (EC), the Department of National Defense (DND) and other Federal government departments, might finally receive the funding it needs to move forward. Any public announcement in this area would likely be made around August 6th, to coincide with the date when Walter Natynczyk, the new CSA president, is expected to take over day-to-day control of the organization. The mission would consist of two satellites in molniya-type orbits, supported by one northern ground station and connected to communication satellites in geosynchronous orbit with other connections to various portions of the telecommunications infrastructure. According to the "Polar Communication and Weather mission (PCW)" overview on the CSA website, the PCW mission will cover portions of far north Canadian territory which are not covered by the current crop of geostationary communications satellites (GEO). But up until now, project funding has only arrived in small batches. 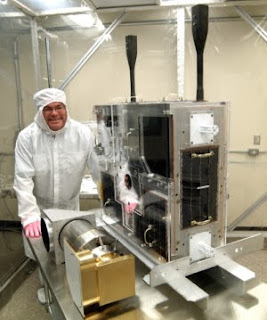 The only direct funding the program has ever received was a $4.3Mln contract awarded to PCW prime contractor MacDonald Dettwiler (as outlined in the July 27th, 2009 post "MDA Signs Contract For Polar Communications and Weather Mission") for the preliminary phase "A" mission design. As well, according to the November 22nd, 2011 ABB press release, "ABB to help Canadian space agency to monitor weather in the Arctic," the CSA also awarded a $5.7Mln CDN contract to ABB Canada to develop a multi-spectral imager for the PCW as part of the Space Technologies Development Program (STDP) in 2011. No final mission costs are publicly available for the PCW program. 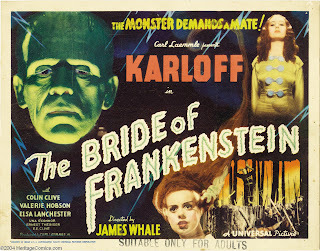 Like one of those classic monster movie sequels from the 1930's, which kept rearranging and recycling the creativity of the original in order to maximize box office receipts, traditional rocket companies are in the midst of recombining and reorganizing themselves for much the same reasons. The latest of these is Sacramento based Aerojet Rocketdyne, a rocket and missile propulsion manufacturer owned by Gencorp (which used to be the General Tire and Rubber Company) and formed from the merger of Aerojet and Pratt & Whitney Rocketdyne. As outlined in the June 2nd, 2012 blog post "Requiem for a Heavyweight RocketDyne," the original plan was to build a company able to compete with low cost newspace upstart Space Exploration Technologies (SpaceX). Unfortunately, that plan seems to have fallen by the wayside. As outlined in in the June 24th, 2013 Space.com article "Aerospace Merger Means Big Savings for U.S. Government, Company Says," the new firm is now being pitched as simply a cost effective merger. The "legendary" NK-33 (14D15) rocket engine was originally developed to carry Soviet cosmonauts to the Moon. The current Russian government could potentially restart production for international sales. The article quoted Aerojet Rocketdyne president and CEO Warren Boley as stating he made the promise to cut up to $1Bln in anticipated government procurement costs, "in order to help achieve the endorsement of the Pentagon as officials sought approval for the merger, which was finalized on June 14th." But the Space.com article didn't go into a lot of detail about how this money is going to be saved although it did discuss a variety of options relating to the Russian built NK-33 rocket engines. Originally designed and manufactured in the late 1960s and early 1970s by the Kuznetsov Design Bureau, the remaining examples to this engine are currently stockpiled for use in a variety of potential Aerojet Rocketdyne and other projects. Assuming that the inevitable litigation over who owns what between United Launch Alliance (ULA), which is being sued by Orbital Sciences Corporation (OSC) over who currently owns the ex-Soviet technology (and how much they can charge for it) ends up blowing over quickly, Aerojet Rocketdyne believes that the assembly line for the engines can be profitably restarted. But that's not the core of the reason for the new firms existence. In fact, the real Aerojet Rocketdyne plan is far more prosaic. As outlined in the June 17th, 2013 Alabama Media Group article "Paris Air Show: Aerojet Rocketdyne would bring thousands of jobs to Huntsville to build rocket engine," the actual focus of the new company is to win contracts for the Space Launch System (SLS). SLS is not a popular program among newspace advocates and has been described by organizations like the Space Access Society (SAS), the Space Frontier Foundation (SFF) and the Planetary Society as simply a "jobs program" for NASA. It's also widely perceived as having funding requirements which will grow over time to consume funds currently allocated to other NASA projects. As well, SLS is also not expected to lower overall launch procurement costs or the cost per pound to place materials into Earth orbit. So what is the criteria with which this new plan is being judged by? According to Alabama state Senator Paul Sanford, "Madison County is home to some of the best human capital and innovative companies in the world. I'm proud to hear Aerojet Rocketdyne wants to use Huntsville as a partner to build the first new (publicly funded) American rocket engine in 35 years, which will bring thousands of new jobs." 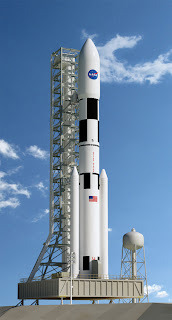 Graphic representation of the NASA Space Launch System. All of which seems to indicate that the local politicians anticipate that a large jobs component will be included with any contract awarded. With the current estimated cost of the SLS hovering around $41Bln between now and 2025 for only four 70 metric ton launches it seems perfectly reasonable that Aerojet Rocketdyne could shave one or two percent off the total cost of the overall SLS budget and still provide thousand of jobs in Huntsville and the surrounding regions. Oddly enough, both the current efforts underway at Aerojet Rocketdyne relating to the SLS and the Russian NK-33 rocket engine can reasonably be considered as "sequels" to earlier efforts to adapt adapt old rocket technology to new uses. The NK-33 was originally developed to carry Soviet cosmonauts to the Moon while SLS grew out of the shuttle program (plus the follow-on but also cancelled Constellation human spaceflight program) and the perceived need to maintain shuttle era jobs and capabilities, at least until the remaining shuttle era workforce retires. Only time will tell if the current efforts end up as more or less successful than the earlier ones. 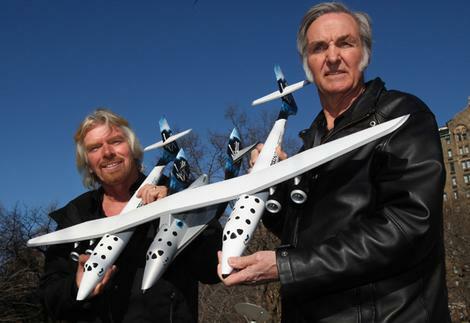 Virgin Group founder and chairman Richard Branson with aerospace engineer and SpaceShipTwo designer Burt Rutan. Will these gentlemen end up as "traffickers in controlled goods?" For the past decade, the US commercial space industry has been fighting to remove export restrictions placed on it during the late 1990s. Change is now on the horizon…but in a "one step forward, two steps back" sort of way which would remove some restrictions on commercial satellite technologies while maintaining and adding others related to “man-rated sub-orbital, orbital, lunar, [and] interplanetary” spacecraft, such as the Virgin Galactic (VG) SpaceShipTwo and the XCOR Aerospace (XCOR) Lynx suborbital spacecraft. Also affected would be technologies related to “space-based logistics, assembly or servicing of any spacecraft” such as the Canadarm derived technologies currently being developed by BC based MacDonald Dettwiler (MDA) for the Defence Advanced Research Project Agency (DARPA). 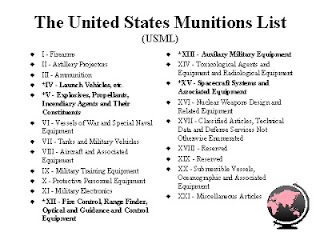 In the late 1990’s, commercial satellites and their components were moved by law onto the United States Munitions List (USML), a list of products, services, and technologies designated as defense-related by the US State Department. Items on this list include weaponry (firearms, artillery, explosives), military vehicles, and spacecraft and associated equipment. 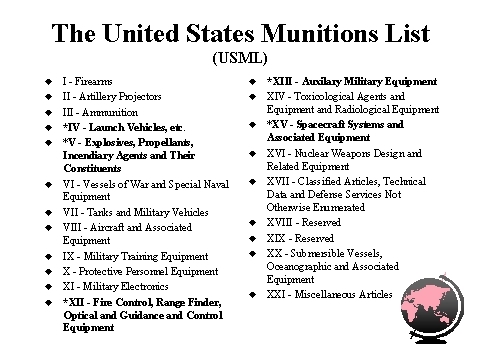 The US Munitions list. From a presentation on US Export Control Laws and Regulations by Bob Tucker. Any item on the USML requires an export license from the US State Department to be exported (i.e. given to a non-US citizen), though exemptions are possible under certain conditions. Putting spacecraft onto the USML also placed them under the restrictive umbrella of the International Traffic in Arms Regulations (ITAR). These moves were officially meant to block the flow of space technologies to nations such as China and (unofficially) to maintain US space competitiveness by erecting trade barriers to the free flow of information. Ironically, these moves harmed rather than strengthened the US commercial satellite industry. At a stroke, US satellite makers were essentially denied access to both foreign markets and lower-cost launchers for their products. Over the next decade, a significant US share of the global commercial satellite market was lost to lower-cost players like China and India. 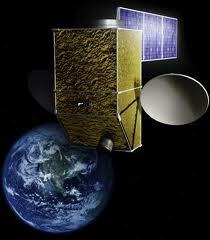 In December 2012, however, years of lobbying by the US satellite industry and other space advocates paid off. A provision in the fiscal year 2013 defense authorization bill passed by the US congress struck out the late-90s language that placed satellites and related items onto the USML. The bill did maintain prohibitions on the export of such items to certain nations, including China. While the bill did remove language from the earlier law that put satellites and related components onto the USML, it did not itself move those items off the list and back onto the less-restrictive Commerce Control List (CCL), administered by the US Department of Commerce. Instead, the law simply restored to the US President the authority to determine which technologies should be on which lists. 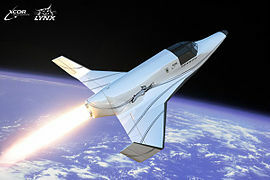 The XCOR Lynx suborbital spacecraft. The Obama Administration first gave clear signs it would enact reforms when it published a report last year on the national security implications of space export control reform. This report included, in an appendix, a draft of a revised description of Category XV (the section of the USML dealing with spacecraft and related items) that removed commercial communications and many remote sensing satellites. On May 24th 2013, the Obama administration published its proposed new USML Category XV, as well as a list of those items that would be moved to the CCL. With the release of the draft Category XV, the US State Department has invited comments from the public until July 8th. A final form of the new Category XV is expected in November or December. Though the draft USML Category XV finally alleviates one of space advocates’ long-running concerns, moving commercial satellites off the list and thus out of the remit of ITAR—it may have introduced an even bigger issue. The new draft has added “man-rated sub-orbital, orbital, lunar, [and] interplanetary” spacecraft to Category XV of the USML. This would include vehicles like SpaceShipTwo and the XCOR Aerospace Lynx. This addition would make it more difficult for NewSpace firms to carry out plans to sell and operate their vehicles outside the US. Another emerging market threatened by the proposed Category XV changes is the nascent satellite servicing field and the draft Category XV list of technologies that would remain under ITAR includes those that provide “space-based logistics, assembly or servicing of any spacecraft” (i.e. refueling). An overview of the DARPA Phoenix satellite servicing program. Although considered to have the best technologies for the project, MDA was unable to win major contracts from DARPA until the June 2012 acquisition of Space Systems Loral provided the US based facilities required to achieve ITAR compliance. As outlined in the October 21st, 2012 blog post "MacDonald Dettwiler Key Supplier for DARPA Satellite Servicing Demonstration," at least one Canadian company has already been selling space based logistics, assembly and satellite serving/ refueling technology into the US and it is unclear how any change in regulations will effect operations. However, other newspace firms, traditional aerospace industry groups and advocates have viewed this as a backwards step, with the US losing a competitive advantage. The new draft USML Category XV could potentially harm the nascent US suborbital space industry the way the US commercial satellite industry was in the 2000’s. As such, these groups intend to intensify their lobbying efforts during the run up to the final draft expected in November/December. Commercial suborbital vehicles and satellite servicing have the potential to rejuvenate the space sector and bring new jobs and industries to a world in continuing economic difficulty. These new systems are not being designed as weapons, and the perceived risks are far outweighed by the potential benefits. Where would today’s aerospace industry be if the Wright Flyer had been so constrained? Then Chief of Defence Staff Walter Natynczyk salutes after laying a wreath on the Tomb of the Unknown Soldier during Remembrance Day ceremonies at the National War Memorial on November 11th, 2011 (Photo c/o Adrian Wyld / Canadian Press). As outlined most recently in the February 9th, 2013 blog post "Are Military and Space Procurement Issues Related," there has always been a great deal of overlap between the military and the Canadian Space Agency (CSA) when it comes to the issues surrounding procurement. It seems that others now agree. 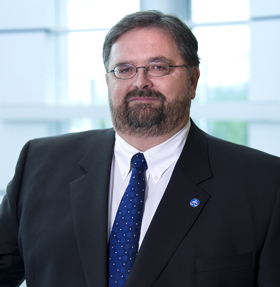 On Friday, the Federal government announced that retired Chief of Defense Staff, Walter Natynczyk would be the next president of the Canadian Space Agency (CSA), effective August 6th. Among his challenges will be to assist with the government response to the November 2012 Aerospace Review, which explicitly criticized CSA procurement. 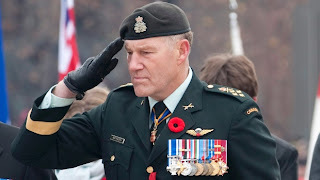 Of course, until October 2012, General Natynczyk was Canada's top soldier, with direct responsibility for over 115,000 other soldiers, sailors and airmen along with the responsibility for supervising an annual budget of $19Bln annually. As the next CSA president, his area of responsibilities will include approximately 700 employees and oversight of the far smaller $350Mln yearly CSA budget. And those new responsibilities are expected to continue to shrink over the next few years. As outlined in the December 12th, 2012 blog post "What the Space Volume of the Aerospace Review Actually Says," the Aerospace Review included a series of new CSA oversight recommendations, an acknowledgement of ongoing CSA procurement problems plus a recommendation to remove CSA from its current policy-making role and also from direct involvement in the design and manufacture of "space assets purchased by the government." The aerospace review also noted the long term high growth among private space companies (around 10% a year over the last several years), even as national space agency budgets contract. The review called this a global "re-balancing" and it will be interesting to see how the new CSA president responds to this. Natynczyk will replace current acting president Gilles Leclerc, who took over from ex-CSA president Steve MacLean, when MacLean retired abruptly in January 2013. Earlier in the week, longtime CSA astronaut Chris Hadfield announced his retirement from the CSA after an illustrious 21 year career which included a recent stint as the first Canadian commander of the International Space Station (ISS). The deal is still mostly under the radar, but the privately held UrtheCast reverse takeover (RTO) of publicly traded Longford Energy Inc., intended to culminate in a publicly traded company focused on streaming high-definition video from the International Space Station (ISS) plus a $25Mln war chest to fund initial operations, does seem to be moving forward. An "annual and special meeting" of Longford shareholders to consider a number of matters relating to the RTO will be held in Toronto on June 13th. UrtheCast owners and executives will assess the RTO the next day at a meeting in Vancouver on June 14th. Canaccord Genuity has been retained to act as sponsor of the RTO and Longford share trading has been halted on the TSX Venture Exchange until the deal closes. Goodwood Inc. and Salida Capital LP, who collectively exercise control over approximately 32% of Longford's issued and outstanding shares, have entered into support agreements with Longford and UrtheCast. They have also agreed to vote in favour of the transactions to be considered by Longford shareholders relating to the arrangement. As outlined in the May 24th, 2013 press release, "UrtheCast and Longford Energy Inc. Announce TSX Conditional Listing Approval," Longford and UrtheCast received conditional listing approval from the Toronto Stock Exchange (TSX) on May 24th to list the new combined stock under the ticker symbol "UR" representing "UntheCast Corp." when the deal closes. The deal goes back, publicly at least, to the March 28th, 2013 PR Newswire press release, "UrtheCast to Complete Reverse Take-Over With Longford Energy Inc.," which announced that Longford, a small Canadian oil and gas exploration and production company, would "acquire all of the issued and outstanding common shares of (privately held) UrtheCast in exchange for shares of Longford." This is normally done in a process called a reverse takeover (RTO), which is the acquisition of a public company (in this case Longford) by a private company (UrthCast) so that the private company can bypass the lengthy, expensive and complex process of going public. The downside of an RTO is that the process doesn't generate any new capital although it may cause the public company stock to rise if the transaction is perceived of as being a net positive. 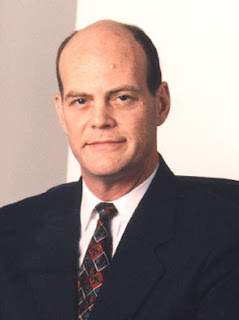 Ex-Canadian Space Agency President Mac Evans is expected to remain on the UrtheCast board when the company competes an RTO. A listing of the expected financing agreement and expected share consolidations have been outlined as part of the May 14th, 2013 document, "UrtheCast and Longford Energy Inc. Announce Interim Order, Special Meeting Dates and Mailing of Joint Information Circular." The new company expects to have a war chest of approximately $25Mln CDN to fund ongoing operations after the deal closes. As part of the deal, UrtheCast's existing senior management team, including Scott Larson (Co-Founder and President), Wade Larson (Co-Founder and Executive Vice-President), Dr. George Tyc (Co-Founder and Chief Technology Officer), Jeff Rath (Corporate Finance, Mergers & Acquisitions), Dr. Serguei Bedziouk (Vice President, Russia Relations) and Issa Nakhleh (Chief Financial Officer), would continue with the business as Longford's senior management team. The UrtheCast Corp board of directors would be reconstituted to include representatives from both the existing Longford board and UrtheCast boards, with the new reconstituted board expected to consist of Ian W. Delaney (Chairman), Tye W. Burt, William (Mac) Evans, Richard Holdaway, Dale Johnson, Wade Larson and Scott Larson. Under the new structure, Delany (who was President and CEO at Sherritt International Corporation from 2009 to 2011) would be taking over the UrtheCast board chairmanship from Tony Lacavera, who is currently also the Chairman and CEO of Globalive Communications Corporation and Chairman of WIND Mobile. With the help of prominent aerospace partners like RSC Energia, UrtheCast intends to build, launch, install, and operate two cameras on board the ISS, beginning in October 2013. 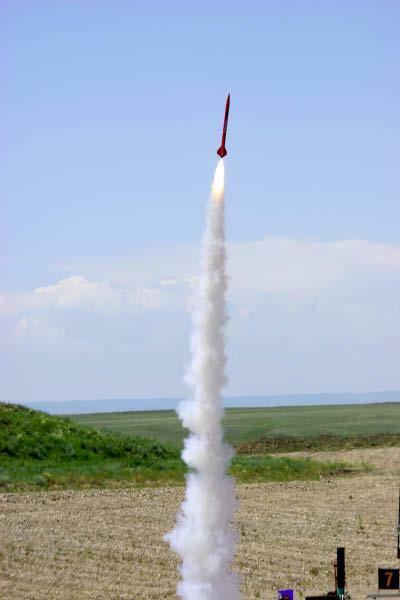 For anyone who still insists that Canadians don't launch rockets, it's worth noting that the 15th annual Rock Lake rocket launching weekend will be held in Rock Lake, Alberta from June 28th - 30th. According to Rock Lake organizer Tim Rempel, between 50 and 75 registered rocket flyers, along with their team mates, family members and interested bystanders are expected to attend. The event, sanctioned by the the Canadian Association of Rocketry/ L'Association Canadienne De Fuséologie (CAR-ACF) will be administered under Transport Canada regulations governing high powered rocketry in Canada. Actually, for those who'd like to check, the history of amateur rocketry in Canada goes back to at least 1965 and the Canadian Federal government which, with the assistance of the Canadian Aeronautics and Space Institute (CASI) and the Royal Canadian Flying Clubs (RCFCA) incorporated the original Canadian Association of Rocketry (CAR) as a federal not-for-profit, self-supporting association and governing body to represent amateur/model rocketeers across Canada. Of course, history isn't the prime motivator for Rock Lake organizers in the weeks leading up to the event. "Rock Lake is the very best place in Canada to launch," said Rempel during a phone interview. "There are no trees or houses for miles and only one nearby stream to the south. It's essentially a perfect place for large motor flights." Rock Lake normally hosts rocket launches in the low powered (A-D), medium powered (E-G) and high powered (H-O) categories as defined by a series of generally accepted model rocket motor classifications which depend on total impulse and average thrust. The typical Rock Lake rocket launch will reach between 30,000 and 75,000 feet. However, the largest rocket launch at Rock Lake was a massive type O rocket, which reached the edge of space 60,000 feet up before descending back to Earth via parachute. "We're just a bunch of friendly, passionate people who love to talk about their hobby," stated Rempel, who's also Secretary/ Treasurer of CAR-ACF and a member of the Lethbridge Rocketry Association. "But there's just something about seeing an object going that high and that fast that brings out a thrill, no matter who you are." An "Economically Viable" Fusion Device? For decades, large government research programs around the world have struggled to develop nuclear fusion, a power source with world-changing potential. Decades of effort, however, has failed to achieve an economically viable fusion device. Now, a group of small firms are working toward this holy grail of energy using a smaller-scale approach. Fusion is a type of nuclear reaction in which two or more atomic nuclei collide at very high speed and merge to form a new nucleus, releasing great amounts of energy in the process. In space, fusion reactions power stars like our Sun by the collision of hydrogen nuclei to form helium. Fusion energy research currently consists of two main branches: inertial confinement fusion (ICF) and magnetic confinement fusion (MCF). In ICF, high-energy laser, electron or ion beams are used to compress and heat a small pellet of fuel. This compression creates shock waves that travel through the fuel to the centre, heating it so greatly that fusion reactions are triggered. In MCF, fuel is fed into a vacuum chamber where magnetic fields compress and heat it to about 150 million °C, forming a hot plasma (a gaseous state of matter). 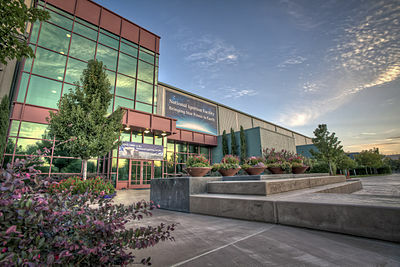 The National Ignition Facility, part of the Lawrence Livermore National Laboratory. 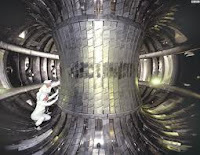 The two largest government-funded government fusion research projects are the National Ignition Facility (NIF) in the US and the International Thermonuclear Experimental Reactor (ITER) multinational facility currently being built in southern France. 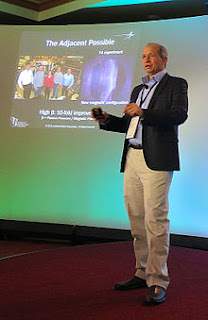 The NIF creates ICF fusion with ultra-powerful lasers while the ITER will create MCF fusion via a device called a tokamak (a doughnut-shaped vacuum chamber). At both these facilities, the reactors are massive machines requiring large support staffs and budgets. Because of their large size and cost, these facilities have been years behind schedule and billions of dollars over budget. Being government projects, they are also hamstrung by politics. In the case of the ITER, its participating nations spent 10 years alone debating where the reactor would be built. The Joint European Torus, located in Oxfordshire, UK. In addition to their fiscal and political issues, the devices being developed by the government programs have had questions raised concerning their utility. Owing to their physics, laser-based fusion devices and tokamaks cannot be made small and light enough to be portable, severely limiting their use. Finally, after decades of research, no fusion device has ever achieved ‘energy breakeven’. Energy breakeven describes the moment when a fusion device produces as much energy output as input. The current record-holder for energy output is the Joint European Torus (JET), which succeeded in generating 70 percent of its input power. EMC2 which is based in Santa Fe, New Mexico. 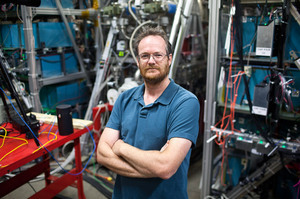 Continuing the work of the late physicist Robert Bussard, EMC2’s work is focused on a device called a polywell, which uses a series of ring magnets to trap electrons and ions. The negatively charged electrons then attract positively charged ions, which accelerates the ions. If they collide at high speeds in the center, they fuse in a form of inertial confinement fusion. Since 2007, EMC2 has done contract work for the US Navy and has built several experimental polywell units, but has been under a publishing embargo. As a result, little hard data on the Polywell has been made public. Michel Laberge, president and chief technology officer of General Fusion. Photo c/o Brent Beadle for NPR. General Fusion which is based out of Burnaby, BC. General Fusion’s reactor will be a three-meter-diameter steel sphere filled with spinning molten lead and lithium. Super-heated plasma would be injected into the vortex, then the outside of the sphere would be hit with 200 computer-synchronized pistons travelling 100 meters per second. The resulting shock waves would compress the plasma and spark a fusion reaction for a few microseconds. General Fusion has received roughly $50Mln CDN in funding from Cenovus Energy, Amazon founder Jeff Bezos, and the Business Development Bank of Canada (BDBC). 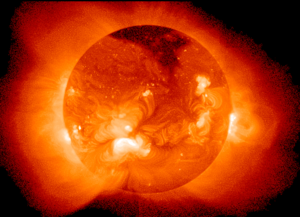 General Fusion is aiming to produce a net energy gain device later this year. If the early stage efforts are successful, the first commercial scale unit could be available in 2016-2018. Lawrenceville Plasma Physics (LPP), which is based in based in Middlesex, New Jersey. The LPP approach uses a device called a dense plasma focus (DPF) to burn fusion fuels that make no radioactive waste, a combination LPP calls “focus fusion.” The dense plasma focus device consists of two cylindrical copper or beryllium electrodes nested inside each other. The electrodes are enclosed in a vacuum chamber with a low pressure gas filling the space between them. An electric pulse from a capacitor bank (an energy storage device) is discharged across the electrodes. For a few millionths of a second, an intense current flows from the outer to the inner electrode through the gas. This current starts to heat the gas and creates an intense magnetic field. Guided by its own magnetic field, the current forms itself into a thin sheath of hot plasma. This sheath travels to the end of the inner electrode where the magnetic fields produced by the currents pinch and twist the plasma into a tiny, dense ball only a few thousandths of an inch across called a plasmoid. The magnetic fields very quickly collapse, and these changing magnetic fields induce an electric field which causes a beam of electrons to flow in one direction and a beam of ions (atoms that have lost electrons) in the other. The electron beam heats the plasmoid to extremely high temperatures, the equivalent of billions of degrees Celsius. The company has raised $2Mln US from private investors and hopes to have a prototype in the next two years. 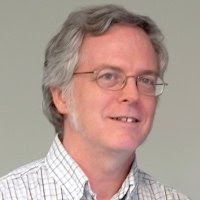 Charles Chase and his team at Lockheed have developed a high beta configuration, which allows a compact reactor design and speedier development timeline. Lockheed Skunkworks Fusion. US aerospace heavyweight Lockheed is developing a trailer-sized fusion reactor that uses radio waves to heat deuterium and tritium gas inside tightly controlled magnetic fields, creating a high temperature plasma. Utilizing modular components and assembly line techniques to cut development time and costs, Lockheed is promising a 100mW prototype by 2017 with commercial 100mW systems available by 2022. Tri-Alpha Energy which has received over $50Mln US in funding and is developing colliding beam fusion. This is building upon the work of fusion researcher Norman Rostoker and is using a field reversed configuration. The project is highly secretive but has mentioned 2015-2018 target dates. Fusion has always been sold as a panacea of limitless opportunity and for good reason. The fuel for the process is extracted from seawater, making it both cheap and free from control by any single nation or group of nations so the advent of economically viable fusion power could radically alter both global economics and geopolitics. Fusion would also enable spacecraft propulsion at 1% to 20% of light speed, enabling easy access to anywhere in our solar system. But that's only if one of the ideas listed above roll out successfully. The longtime joke among space enthusiasts is that fusion reactors have always been "10 to 20 years away" for the past 50 years. Let's hope that we don't have to wait another 50 years to find out for sure. 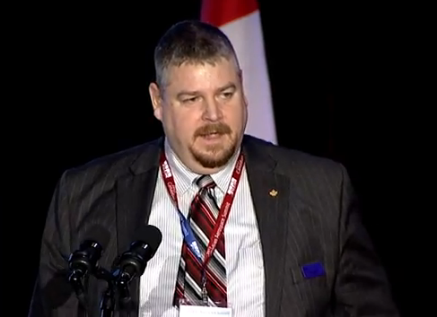 Iain Christie at the 2012 Canadian Aerospace Summit, where he gave a presentation "Celebrating 50 Years of Canada in Space." As outlined in the May 30th, 2013 press release from the Aerospace Industries Association of Canada (AIAC) titled "Iain Christie Joins Aerospace Industries Association of Canada as Executive Vice President," the long serving CEO of Ottawa based Neptec Design Group will be joining the AIAC as its new executive vice president, effective June 17th. But while his formal role will cover small business, defence procurement, space and issues related to AIAC growth and development, there will also be substantial advocacy for the Canadian space industry. "Anyone who doesn't think there is a strong public consensus for a continuing Canadian role in space doesn't know the number of people following Chris Hadfield on twitter," said Christie during a phone interview on Monday. According to Christie, "there are a number of not terribly expensive things we need to do at the Federal level" in order to "avoid a precipice," where the high quality jobs and opportunities in this growing international sector begin to migrate to other countries and jurisdictions. Christie singled out the implementation of both the 2012 Federal Review of Aerospace and Space Programs and Policies (usually referred to as either the "Aerospace Review Report" or the "Emerson Report" after review head David Emerson) and the 2011 Review of Federal Support to Research and Development programs (often called the "Jenkins panel" after panel chair Tom Jenkins) as being key requirements to continue to grow the industry. Christie, who was last interviewed for the January 6th, 2013 post "What's Next for Neptec," said that he believes that the Canadian space industry is at "a crucial moment in time." (CSA) used to plot the space industry’s course through frequently issued long-term plans and by contracting out well over half its annual budget to Canada’s 200-odd private space companies. But it’s been years since the CSA floated any plan the feds endorsed, and its budgets dwindled over the past five years. “Canada retains a skilled space workforce,” observed Futron Corp., a consultancy, in its latest report on global space competitiveness. But delays in updating space policy “are significantly offsetting these competitive advantages,” it observed. Commercial organizations and advocacy groups like the AIAC are clearly attempting to fill in the gap between the traditional government role of guiding space policy and the current realities. These are indeed crucial times.